The country of Australia, officially known as the Commonwealth of Australia, consists of six states and two territories. There are over 13 million known deliverable addresses in Australia. This article breaks down the standard format used for Australian addresses, and what to check for in each field of these addresses. Mail in Australia is handled by Australia Post, formally known as the Australian Postal Corporation. Australia Post is a government-owned corporation that was founded in 1809. First, let’s look at how Australia defines its country codes, as well as its states and territories. The International Organization for Standardization (ISO) published the ISO 3166 standard, officially known as Codes for the representation of names of countries and their subdivisions. 3 ISO 3166-3 Code for formerly used names of countries – defines codes for country names that have been removed from ISO 3166-1. ISO 3166-1 alpha-3: Defines a country as a three-letter country code, commonly referred to as ISO3, or ISO-3. ISO 3166-1 numeric Defines a country as a three-digit country code. The ISO currently lists codes for Australia’s six states and two of its territories. Now, let’s look at how delivery addresses are constructed. The address format for deliverable mail in Australia is defined by Australia Post, where an address is made up of several components. Australia has three inhabited external territories. They do not use their own name and abbreviation in Australia Post’s postcode system and are instead assigned the name of another state. Australian postcodes are four-digit codes that are used to help sort and route mail. The first two digits often represent which state or territory the postcode belongs too, with the exception of the Australian Capital Territory (ACT) which is embedded in New South Wales (NSW). The postcode is the third and final address component in the last address line, following the Locality and State/Territory components. However, if the envelope being used includes four postcode squares in the bottom right corner then Australia Post prefers that you fill those boxes in with the postcode instead. Some postcodes may cover two or more states or territories. For example, the postcode 0872 is currently used to cover 87 localities located in West Australia (WA), South Australia (SA) and Northern Territory (NT). Australia Post sometimes finds it easier to send mail through a post office located in one state/territory for an address geographically located in another state/territory. So, it is not uncommon to find an address with a mailing address that does not match its physical address or geographic location. The above content provides a general overview of Australia and the address format specified by Australia Post. Overall, there are more than 18 different address components, elements and fragments to consider when working with Australian addresses. There are also monthly data updates published by Australia Post to stay on top of. 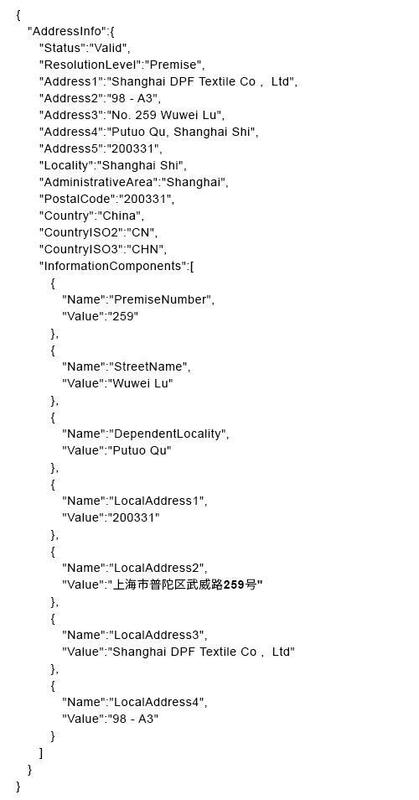 As with most countries, Service Objects’ Address Validation International (AVI) is capable of processing and validating deliverable addresses in Australia. By understanding this country’s very structured address format, including specific idiosyncrasies such as required upper-case municipality addresses, state and territory abbreviations, and four-digit postal codes, you can automate much of the process of ensuring your contact data quality for this important international market. In an ideal world, data entry would always be perfect. Sadly, it isn’t – human errors happen to end users and call center employees alike. And while we make a good living cleaning existing bad data here at Service Objects, we would still much rather see your downstream systems be as clean as possible. To help with that, many organizations are getting an assist with Google, in the form of the Autocomplete with their Places API. If you setup your form properly and use their API you can have address suggestions appear in a dropdown for your end users to take advantage of to help enter correct data into your system. That’s great, isn’t it? First, Google Places API often does not often suggest locations to the apartment or suite level of detail. The point is that a considerable segment of the population lives in apartments or does business on separate floors, suites or buildings. Second, the locations the Google Places API suggests are often not mail deliverable. For instance, a business may have a physical location at one address and receive mail at a completely different address. 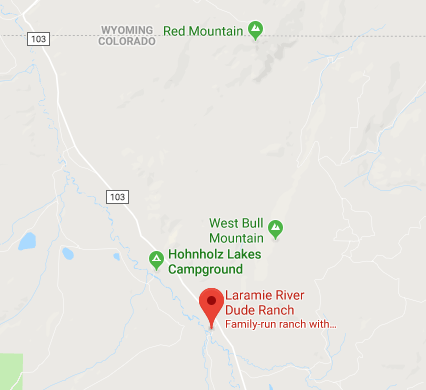 Or sometimes Google will just make approximations as to where an address should be. 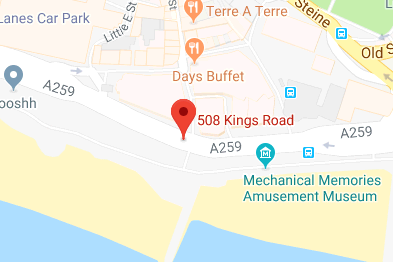 For example, check this address out on Google Maps: 08 Kings Rd, Brighton BN1 1NS, UK. 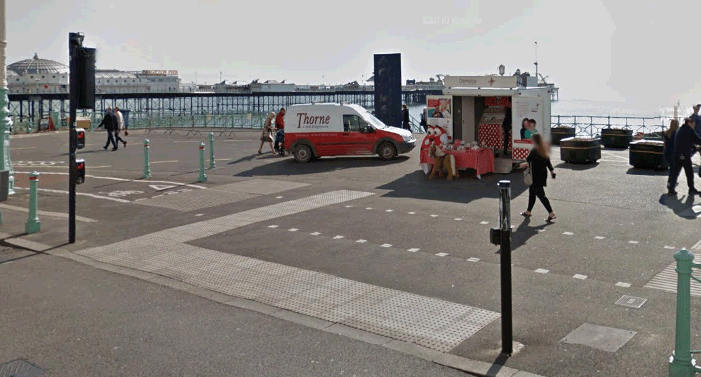 It looks like a legitimate address, but as the street view shows, it does not seem to correspond to anything. These issues can leave gaping holes in your data validation process. So, what can you do? 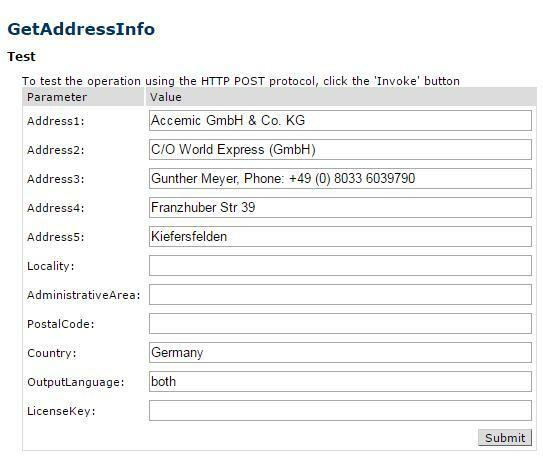 Contact us at Service Objects, because we have the perfect solution: our Address Suggestion form tool. When combined with the Google Places API you will have a powerful tool that will both save time and keep the data in your system clean and valid. 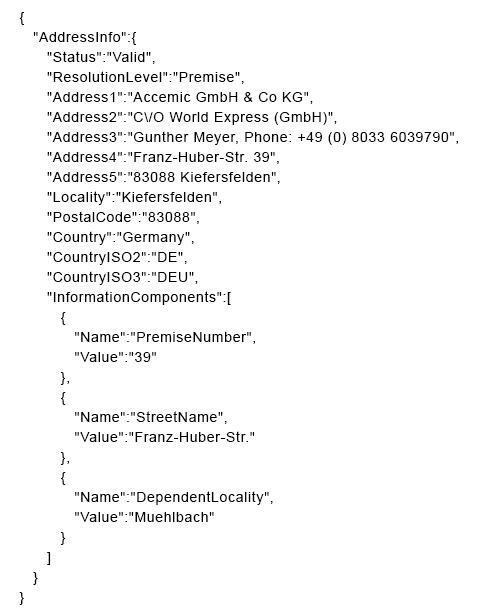 This form tool is a composite of the Google Places API and our Address Validation International service. The process consists of the data entry portion, the Google Paces API lookup, then the Address Validation International service call, finally displaying selectable results to the end user. Let’s start by discussing the Google API Key, and then the form, and finally the methods required to make that Google Places API call. Google Places API requires a key to access it. You can learn more about this API here. Depending on your purposes you may be able to get away with using only Google’s free API key but if you are going to be dealing with large volumes of data then the premium API key will be needed. That doesn’t mean you can’t get started with the free version: we in fact use it to put our demos together, and it works quite well. The form we need to create will look like a standard address data entry form, but with some important details to note. First let’s look at the country select box: we recommended that this be the first selection that the user makes. Choosing a country first benefits both you and the user, because it will limit suggested places to this country, and will also reduce the number of transactions against your Google Places API key. Here is a link to how Google calculates its transaction totals. Another important note is that we need to have the Apt/Suite data entry field. As mentioned earlier, the Google Places API often does not return this level of resolution on an address, so we add this field for the information be provided by the end user. The rest of the fields are really up to you in how you display them. In our case, we display the parsed-out components of the results from selected address back into the rest of the address fields. We keep all the address input fields editable so that the end user can make any final adjustments they want. The methods associated with this process can be summarized by a set of initializations that happen in two places: first, when a country is selected, and second, when the focus is on the Address field by a user clicking into it. For our purposes we default the country selection to the United States, however when the country is changed the Autocomplete gets reinitialized to the selected country. And when a user clicks into the Address field, the initialization creates a so-called bias, e.g. Autocomplete returns results based on the location of your browser. For this functionality to work, the end user’s browser will ask to let Google know its location. If the user does not permit Google to know this the suggestion is turned off and does not work. This bias has a couple of interesting features. For instance, you can change the code to not utilize the user’s browser location but instead supply a custom latitude and longitude. 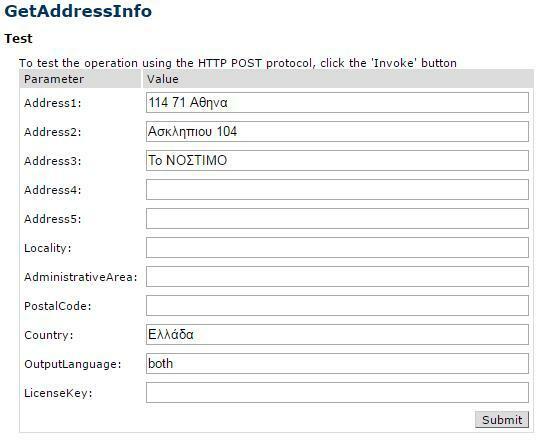 In our example, the address suggestion does not end up using the user’s current position when the selected country is not in the same country as the user. But when the user is in the same country as the selected country then the results returned by the Google Places API are prioritized to your location. This means that if you are in Santa Barbara, CA and select the United States as the country, when you start typing a United States address you will first see matching addresses in Santa Barbara, and then work outward from there. You can customize the form bias to any particular location that you have a latitude and longitude for. The ability to change this bias is very useful in that setting the proper bias will reduce the number of lookups against the Google Places API before finding an address match, and will also save manual typing time. Now let’s discuss the Address Validation International service API call, which consists of a key, the call to the service and setting up best practices for failover. Let’s start with the key. You will need to either have a live or free trial license key from us, the latter of which can be gotten here. For this example, a trial key will work fine for exploring and tinkering with this integration. One of the great things about using our service is that when you want to turn this into a live production-ready solution, all you have to do is switch out the key from the trial to the production key and switch the endpoint to the production URL, both of which can be done in minutes. So what is failover? Failover, from the perspective of an end user developer, is just a secondary data center to call in the unlikely event that one of our primary data centers go down or does not respond in a timely manner. Our developer guides can again help with this topic. There you will also find code snippets that demonstrate our best practice failover. Invalid For addresses where postal and/or street level data is available, and the street was not found, bad building number, etc. InvalidFormat For addresses where Postal data is unavailable and only the address format is known. InvalidAmbiguous For possibly valid addresses that may be correctable, but ultimately failed validation. Valid For addresses with postal level data that passed validation. ValidInferred For addresses where potentially far reaching corrections/changes were made to infer the return address. ValidFormat For addresses where Postal data is unavailable and only the address format is known. Another important field will be the ResolutionLevel, which can be one of the three following values: Premise, Street and City. The values returned in these two fields will help you make a decision in the code with respect to what exactly you want to display back to the end user. What we do in our demo is display the Status and ResolutionLevel to the end user along with the resulting address. Then we give the user a side-by-side view of both the resulting address just mentioned and the original address the user entered. This way the end user can make a decision based on everything we found. In the case shown here, for example, we updated Scotland to Dunbartonshire and validated to the premise resolution level. There are many customizations that can be made to this demo, such as the example we mentioned earlier about setting up the bias. 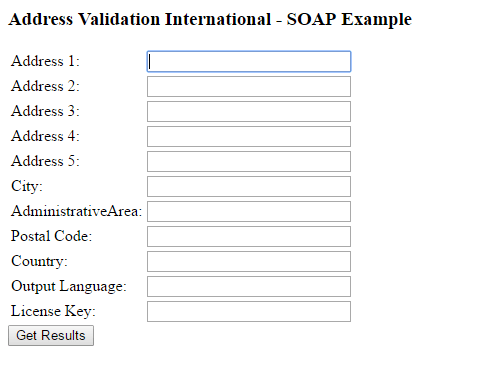 Additionally, instead of using the Address Validation International service you could also create an implementation of this demo using our Address Validation US or our Address Validation Canada products. Want to try this out for yourself? Check out our Address Suggestor video tutorial or contact one of our Account Executives to get the code for this demo – we’ll be glad to help. C# may very well be our most requested sample code. There is good reason for that too; C# and the .NET framework are many developer’s first choice for creating a web page or any other type of application because of the versatility of the language and framework as well as the robust features that Visual Studio offers. One of those features is the ability to consume a WSDL (Web Services Description Language) and create all the necessary classes and methods to successfully call a web service. This makes using SOAP squeaky clean! Ok, that was the first and last SOAP pun, I promise. Here’s what you will need for this tutorial. Some familiarity with C# and the .NET Framework. This tutorial will be pretty basic so it should be accessible even if you are a beginner. Click ok and then select “Empty” to create an empty web form. We will add the necessary aspx page momentarily. But, our first step for our new project will be to add the service reference to the DOTS Address Validation International web service. To do this, right-click on “References” in the Solution Explorer and select “Add Service Reference” a pop up should appear to add the Service Reference. Here we will add the URL to WSDL that contains the information on how the project should interact with the DOTS Address Validation International web service and we will name the Service Reference. Now that we have successfully added the service reference, we can add an aspx page that will have our input form and display our results. Right-click the project name and select “Add” and then select “Web Form” to add a blank web form to the project. For our example, we’ll name the form “AVIForm”. Now that our form is present, we’ll add some simple HTML and ASP elements to take in our inputs and display them to the screen after we get a response from the service. Make your ASPX page look like the following. The above code will allow us to take the inputs send them to the code behind and then display the results in the outputGrid and InformationComponentsGrid. We have to separate grids; one to account for the standard outputs from the service, and the other to account for the InformationComponents field to account for some variable information and data to be returned by the service. This field can change based on the country or data available for a specific international address. Now that our input form is all set up, we’ll add the proper code behind that will display the results to the user. We won’t look at every part of the code here, to download a .txt version of the code, click here. One thing we like to stress to clients who are integrating our services is proper Failover Configuration. In the unlikely event that our primary datacenters are offline or producing strange errors, we want to ensure that our clients are pointing their code to our backup datacenters so that their applications and business processes go uninterrupted. Here is a full picture of the proper way to integrate failover into an application. We’ve found that to ensure uninterrupted service the best practice is to have the calls to the web service nested in a try-catch block of code. In our current setup, the backup call will hit the same data center as the primary call; but if a License Key is purchased the primary call should point to ws.serviceobjects.com and the backup call should point wsbackup.serviceobjects.com. 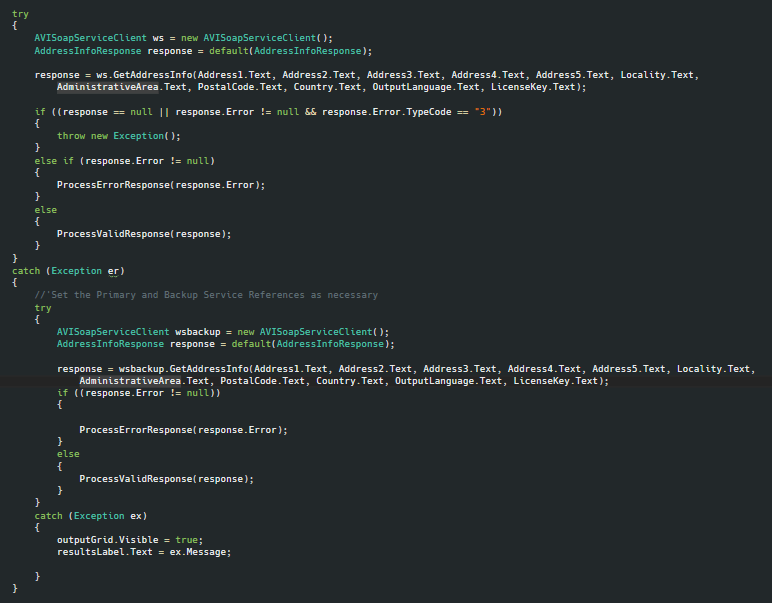 The screenshot below highlights some of the primary failover logic that will allow the code to run uninterrupted. This code occurs right after the primary call to the web service if it detects that the response from the service is null or if an Error TypeCode of “3” is returned, then the code will throw a new exception and the catch statement will call the backup web service call. If a successful response is received from the service, the code will call a method named “ProcessValidResponse” which takes in the response from the web service and display the results into a DataGrid and then send that data grid to the ASPX page for the user to see. This method is pretty straight forward for the most part, as it simply assigns the outputs and their respective values into separate columns for the user to see. The only part that may be mildly tricky would be the InformationComponents field that is returned from the service. This field is an array of InformationComponent which contains two strings; one for the “Name” of the variable returned and one that indicates the “Value” of the variable returned. For example is you pass a US address into the AVI service, one InformationComponent that can be returned will have a Name of “DPV” and a Value of “1” indicating that it is considered delivered by the USPS. Below is an example of the XML output. This array of fields allows us to add new outputs to the service over time without potentially breaking any existing client’s code. To account for this array of information we have a brief For loop below that will loop through all the elements of InformationComponents and add their names and values to the InfoCompTable so that they can be seen by the user. If we go ahead and run our project, our webpage will look like the following. If this address is sent to the service you should see the following response. 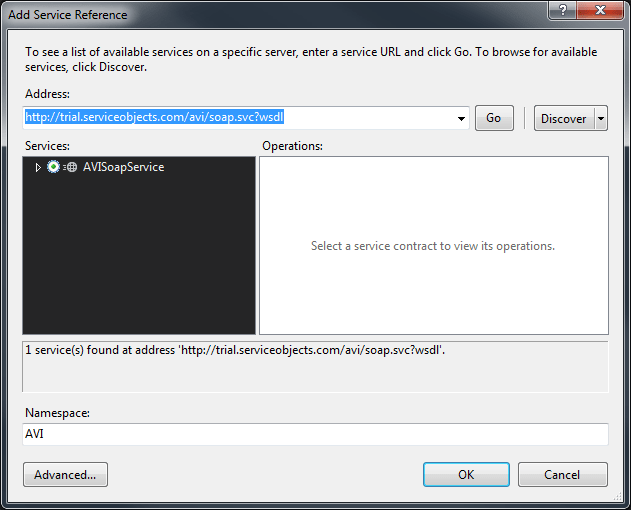 As you can see, this address is considered Valid by the service and the service has a premise level resolution for this address. 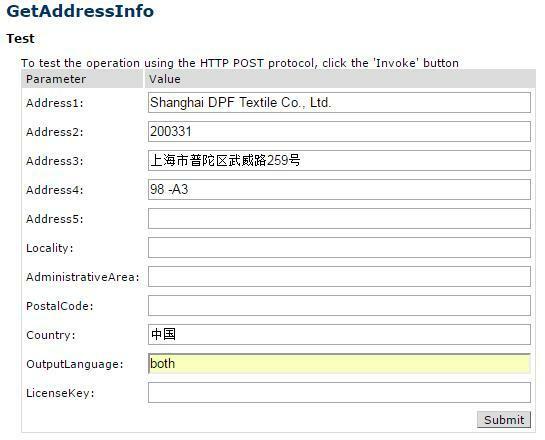 The Address1-Address8 fields will also display how the address should look for mailing purposes. For this particular example we only need Address1 and Address2 but for other countries, all 8 address lines may be used. The InformationComponents field was also parsed out and the two Name and Value pairs were shown below the standard outputs from the service. 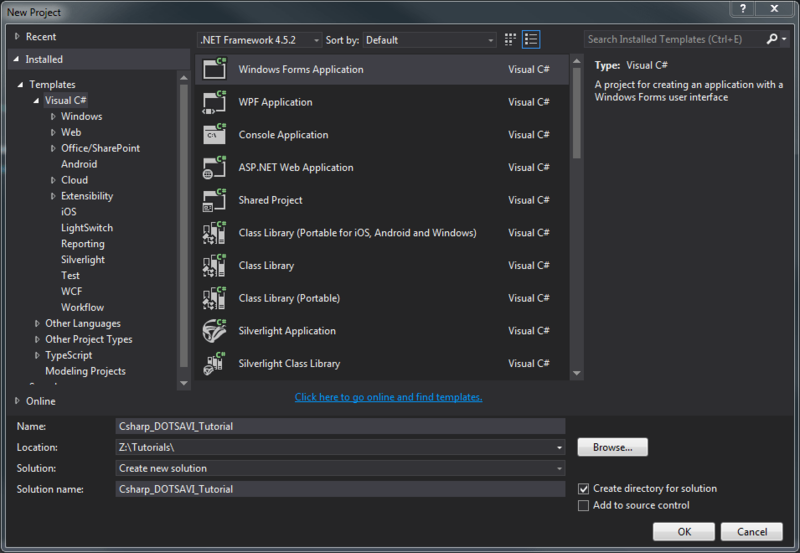 That wraps up our tutorial for DOTS AVI integration in C#. Congratulations! You are now on your way to being a DOTS Address Validation International expert! Feel free to go and test more International addresses, and as always if you have any questions feel free to reach out to us at support@serviceobjects.com! Dealing with international addresses is no simple task. An address can often be misspelled, incorrectly formatted or simply written in a foreign language that you do not understand. The simple fact that many international addresses are foreign to us means that we are unable to recognize when something is wrong. Take the simple word “street” for example. It is one of many commonly used words in an address. The French word for street is “rue”, in German it’s “Straße”, in Portuguese it’s “rua”, and it’s the character “路” pronounced “lu” in Chinese and so on. That’s not to mention common abbreviations either. In many cases a person will have a hard time identifying the name of a city or a street in an address and they would be unable to distinguish one from the other. Unless you are able to read Chinese you would be hard pressed to make sense of the above example. The first line is in English but it appears to simply be the name of a business. Business names are not required to validate addresses with the AVI service and it is unlikely that it would prove helpful in the validation process. To the contrary, extraneous information like this is often regarded by most systems as garbage data; however, let’s go ahead and pass the address as is to the AVI service and see how it handles it. 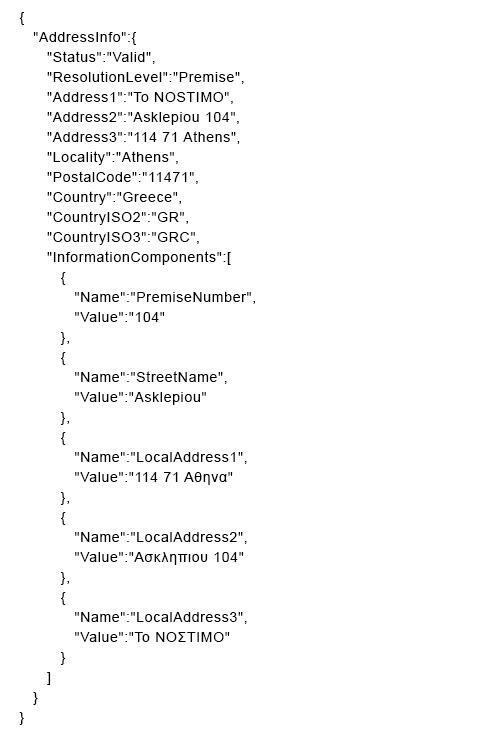 Here is the output in JSON, although the service also supports XML: Examining the output, we see that the AVI service fixed the order in which we entered our input values. This was done not only in the transliterated Romanized spelling of the address but also in the localized Chinese format. The AVI service identified the street name, city name, postal code as well as other useful information. Unless you can read Greek the above address would be difficult to decipher. Let’s see what the AVI service returns. As it turns out, “To NOSTIMO” or “Το ΝΟΣΤΙΜΟ” (in Greek), is the name of a café that resides at the address. Even though the name of the café is not technically a part of the address nor is it necessary for validation, we see that its inclusion did not impede the AVI service from performing its job. Let’s see how well the AVI service handles an address when several lines of extraneous data are included. In this example, the address is in English, but there is a mess of extraneous information included. What will the AVI service make of this example? In the above example, we see that the AVI service was able to ignore the three lines of extraneous information and identify the pertinent address information. From there the service standardized the street name, corrected the locality name and appended the missing postal code. In 2014, the United States Postal Service reported that 4.3% of all mail was ‘Undeliverable as Addressed’ (UAA). At first glance, this doesn’t seem too bad, BUT this seemingly small percentage can become a very expensive issue, having a negative impact on your business. Looking at the big picture, this translates to over 6.6 billion pieces of UAA mail, costing the USPS $1.5 billion a year. What’s more, UAA mail cost the entire mailing industry over $20 billion in 2015. Think about the number of packages, mailers, documents, and invoices that you send out on a daily basis. How many Undeliverable As Addressed mailings do you experience daily, monthly, yearly? As reported by the USPS, it is likely around 4.3% of mailings. And that number doesn’t account for 3rd party courier services like UPS, FedEx, DHL, etc. To help illustrate the hard and soft costs associated with of UAA mail, let’s take a look at a couple examples. You might think with the advent of the internet, mail-order catalogs would have become obsolete by now. On the contrary, catalogs are a healthy part of omnichannel marketing and with over 11.9 billion mail-order catalogs mailed in 2014, they do not appear to be going anywhere. In fact, direct mail outperforms digital channels by a long shot, with 3.7% response rate on a house list and a 1.0% response rate on a prospect list. By comparison, all digital channels combined, only achieve a 0.62% response rate. The real power shows up when marketers combine direct mail WITH digital marketing. As Kurt Salmon discovered, over 58% of online shoppers say that they browse catalogs for ideas, and 31% have a retailer’s catalog with them when they make an online purchase. Extensive market research helps us see just how important mail-order catalogs are to many businesses. Unfortunately, of the 11.9 billion catalogs mailed in 2014, 476 million catalogs went undelivered. For companies that rely on catalog marketing, deliverability does have an immediate effect on their bottom line. To provide more context, consider the following scenario. A large retail clothing company is sending out millions of seasonal catalogs to their house and prospect lists. The costs to design, create, print, and mail these catalogs is substantial but they know that customer order values increase by 15% when they have a catalog in hand. Unfortunately, recent sales reports indicate that the company’s response rates have dipped about 1%. After some inquiry, they discovered that 4.3% of their catalogs came back as UAA, and therefore did not reach their targets. They have suffered the direct costs of printing and postage and the indirect costs of a lost sales opportunities. To correct this problem, they implemented some simple address validation tools and were able to reduce their UAA rate, thus saving on these costs and immediately getting back on track. Your relationship with your customers is everything. And a key part of customer service is “knowing” not only who your customers are, but also where they reside so that their deliveries are consistently getting to them. And, when you have loyal, happy customers, you maintain steady cash flow. Along those same lines, customer invoices must be delivered on time, every time, in order to avoid unnecessary operational costs. But, by taking steps to validate their mailing addresses, they increase their chances of maintaining their customer relations. Ask yourself this question: How many times will a customer “tolerate” inadequate service, such as undelivered packages or invoices, before they decide to cancel their business altogether? So how can you correct and streamline your customer lists for address accuracy while also keeping them current? up-to-dateness? It starts with plugging in Service Objects’ DOTS – Address Validation solution to verify, validate, and correct undeliverable mail. To significantly increase the deliverability of your mailing lists, Service Objects offers a number of solutions that will help validate and correct your mailing addresses. All of our services can be accessed through our real-time APIs and/or using our batch process. DOTS Address Validation – US, can instantly verify, correct and append address information against our CASS-Certified USPS address verification database. Some companies choose to append latitude/longitude and demographic information, in which case, we recommend DOTS Address Validation Plus. Using either of these services, the majority of your addresses will be verified and corrected, and ready for mailing. DOTS Address Detective uses real-time “fuzzy” logic to complete missing data points in the address and then verified against our CASS-Certified database. Great for incomplete and hard to validate addresses. DOTS NCOA Live service, keeps verified and corrected addresses up-to-date. This is built on the USPS National Change-of-Address database (NCOALink). DOTS Address Validation – Canada, covers 15.7 million addresses in all 10 provinces and 3 territories and validates both French and English addresses. DOTS Address Validation – International, verifies, corrects, and appends addresses outside the United States and Canada. Covers over 250 countries, dependent areas and territories. Addresses are corrected to the unique requirements of country’s postal address formats and cultural idiosyncrasies. Whether it’s a direct marketing mailer campaign, confidential documents, packages, or customer invoices, you need to count on successful deliveries every time. So get it right the first time by using the most genuine, accurate, and up to date customer address information available. As it relates to your bottom line, there is no room for error. 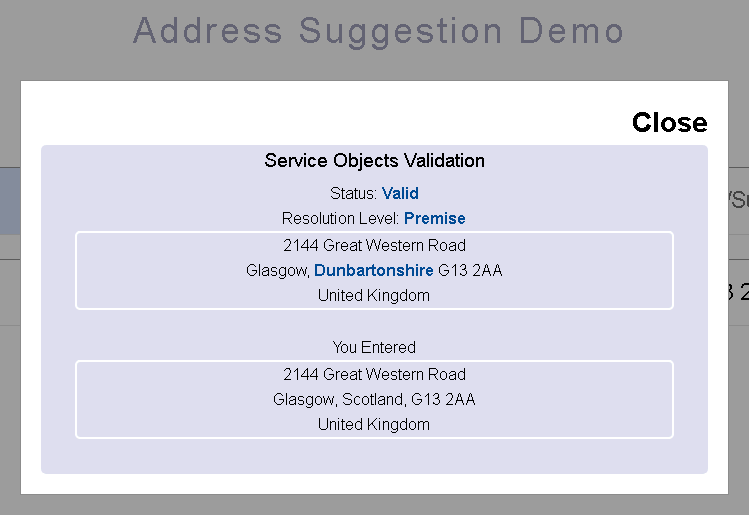 Plain and simple, Service Objects Address Validation solutions can help you reach your mailing goals! The short answer to the “what’s the best?” question, as it often is, you’re asking the wrong question. Many of you who have worked with varying data sets before already know that you first need to ask yourself, “what do I intend to do with the data once it is stored?” What the data is used for should have the largest impact on how it is stored. Depending on your specific requirements, the way you store address data can vary greatly. For some, how you store your data may not be entirely up to you as you may not have any control over the storage design, and are instead forced to work with the fields that are made available to you. Many users work with US-centric Customer Relationship Management (CRM) solutions that are designed with US address fields in mind, which can make storing international addresses all the more confusing and can also potentially lead to some data loss. For those looking to simply print an address label for mail delivery, a single text field containing the complete formatted address will suffice. After all, why bother with breaking an address down to a mess of individual fragments if you’re not going to use them? Worse yet, what do you do when it comes time to put the pieces back together and you find that you don’t know how? For some, correctly putting an address back together from its individual fragments might not be of great concern. The primary use of the data may be for some form of query analysis and/or organization. In which case you might be more concerned about which specific data type your individual fields should be or how to properly map these fragments. If you are implementing your own design then keep in mind that not all international addresses are necessarily parsed the same way, and you will need to consider if your design should be flexible enough to handle all international addresses or if you would prefer to go a country-specific route. In most cases, users will find that they can typically match Locality to City, Administrative Area to State, and Postal Code to ZIP. If you are unfamiliar with the address terms “Locality” and “Administrative Area” then please check out our previous blog, Five Commonly Used Terms and Definitions in International Address Validation Systems. In the above example, you’ll notice that an Administrative Area equivalent was never provided. You’ll quickly find that this is quite common for many countries and that the locality is usually preferred. You’ll also notice that we have a dependent locality, which is a sub-region of the locality, and a dependent street name. It is important not to omit or lose these pieces of data if they are provided, as they offer additional detail/instruction on the whereabouts of an otherwise ambiguous address. So where to map them? Luckily, our database design offers enough fields to accommodate these values, but keep in mind that this may not always be the case. In our example, we can map the premise number and dependent street name to Address1, the street name to Address2, the dependent locality to Address3, locality to city, postal code to ZIP, country to country, and leave the state empty. However, even though we were able to successfully map every value to our CRM, it is still very tedious and risky to try and handle all of the various address formats. Also, what course of action do we take when an address also includes a double-dependent locality or a sub-region? The first example is a Japanese address. Looking at it with American eyes one might think that the first line is a premise number and a street name, the second line the city, and the third line the state and postal code, or their equivalents. However, things work very differently in Japan. Streets are not commonly named or used for addresses. Instead of street names, they primarily use regions that can normally be thought of as districts. In the above example, Ryoke is a second level sub-locality, Urawa is a first level sub-locality and Saitama is the locality. No administrative area equivalent value is given. Administrative areas are commonly omitted as often as they are included in Japanese addresses. In the second example, we have a premise number and street name in the first address line, and a postal code and locality in the second. Once again, no administrative area value is given. The address is in France, but many European addresses will follow this general format, and it is common for them to omit a first level administrative area. Therefore, it is highly recommended that you do not make an administrative area a required field. Doing so would mean rejecting valid addresses for entire countries. As I mentioned earlier, when breaking an address apart we also run the risk of putting it back together incorrectly. So while no individual address fragment might be lost, we still risk losing the correct address order and format. Addresses and their various fragments and formats can vary greatly not just from country to country, but also within the same country. So what’s the point of it all? Is there no hope when it comes to international addresses? If you are forced to use a set storage design and are unable to alter it then your best course of action may be to simply store the complete formatted address in a single field, if it can fit. If the complete address cannot fit in a single field, then split it into multiple fields when necessary. In general, storing the complete address should be your primary objective as it should contain all of the necessary information that you need. The complete address can always be parsed out later as needed. Storing the country and postal code should be next on your priority list, although not all countries use postal codes. Postal codes are very important and useful, so be sure to store them when they are available. Finally, look towards storing the locality and admin area if they are available. For those who will be implementing their own design, look to the output specifications of your validation solution. Most validation solutions will have a large list of address fields that cover the majority of the most widely used international addresses out there. You may consider it cumbersome, but if you include all of the output fields from your validation solution in your own design then you minimize the risk of losing data during the mapping process. You might not consider it the best way to handle storing international addresses, but unless you want to become an expert on the subject, it is definitely easier to use an existing design.